New soldiers Xu Xiaobin (Li Jiahang) and Xu Xiaobing (Wan Qian) often get mixed up during roll call due to their similar sounding names, and an annoyed Xu Xiaobing decides to change her name to Xu Bing. Later on, the pair of bickering friends pass the university entrance exams, and eventually get married to each other, much to the surprise of their comrades. After getting a taste of married life, Xu Xiaobin is eager to find a wife for his former squad leader and best friend Meng Yonggan (Qin Hao). Ni Shuangying, a young lady from a well-off family takes a liking to Meng Yonggan, though he falls in love with Xu Bing’s cousin instead. Directed by Li Xue (Surgeons) and written by Li Jing (Romance of Our Parents), the 30 episode drama will begin filming in a couple of days. 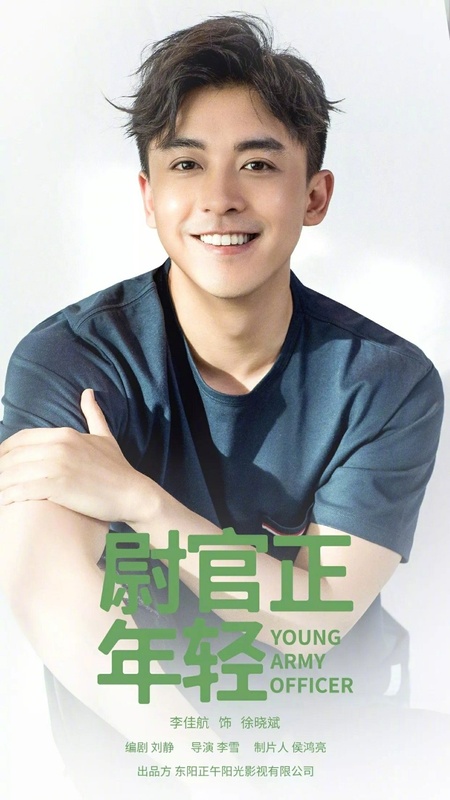 This entry was posted in Drama, Mainland China and tagged Daylight Entertainment, Li Jiahang, Qin Hao, Wan Qian, Young Army Officer by XDramasX. Bookmark the permalink. Wan Qian and Li Jiahang are my dream cast for their roles, so I’m really excited to see them cast. Plus, Li Xue is the best director that Daylight has. Definitely looking forward to this. I’m going to guess Qiao Xin is the other female lead, but I’m secretly hoping they’ll cast someone else better.